As it turns out choosing a pair of headphones is not as easy as most people imagine, It’s a combination of various factors but mainly determined by your intended use. Like if you are a music producer, DJ, or just a casual listener. And one of the first decisions you are often supposed to make is whether to opt for the Closed back or Open-back headphones. Now, since you are here, I assume you already made your decision. So my job is to give you the 5 best closed-back headphones and guess what? You will get all the information you need to make your buying decision here in this post. 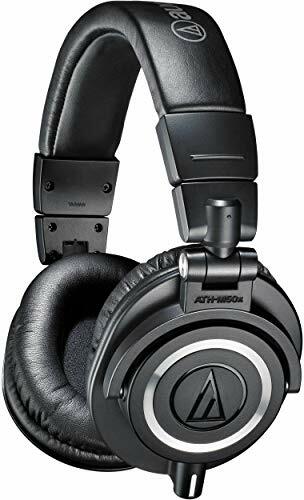 When Audio-Technica announced they were releasing the ATH-M50x audiophiles everywhere could not keep calm. It’s predecessor the ATH-M50 was doing so well it was hard to imagine that things can get better than that. But they did, and the ATH-M5Ox is currently one of the best pairs of headphones you can own. Unlike its predecessor, the cable is detachable, and they include three cords in the package (1.2 m – 3.0 m coiled cable, 3.0 m straight cable and 1.2 m straight cable) that you can interchange for increased flexibility. Additionally, it features 45mm large-aperture drivers that are further reinforced with rare earth magnets and copper-clad aluminum voice calls to give you an outstanding sound quality. You will be surprised by the fantastic sound clarity across the supported frequency range of 15-28,000 Hz. Another impressive feature is the ability to swivel the cups through 90 degrees which is perfect for single-ear monitoring in case you are using the headphones for music production. The earpads and headband are made using professional grade material for sufficient cushioning and more durability. Both cups can be folded to achieve a compact size that is easy to store and carry around. The ATH-M50X is my top recommendation because it is perfect for more than just one use. Whether it’s mixing and tracking in the studio, deejaying or leisure listening, these cans will not disappoint. And this is not just me saying. These are remarks that have been echoed by audiophiles and top audio engineers everywhere. It never ceases to amaze me how Sony manages to dominate in so many product niches. From TV screens through smartphones and now to headphones. But the good thing is that you are always assured of the quality of their product. 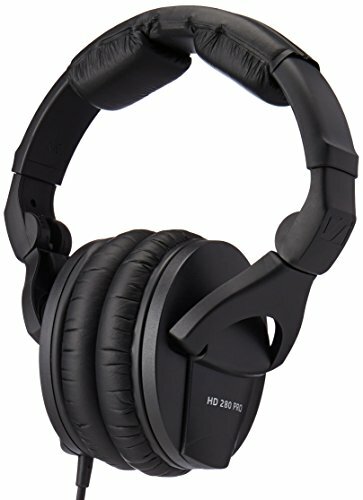 The MDR7506 for example is a high-quality reference headphone that I can recommend to anyone seeking a remarkable sound quality. The excellent sound can be attributed to the 40mm drivers that are made using neodymium, the strongest permanent magnet in the world. It also includes a 9.8 feet cord that ends in a gold-plated plug. Gold does not corrode as quickly as other standard materials, and since it is a soft metal, it offers less resistance to the sound signals. 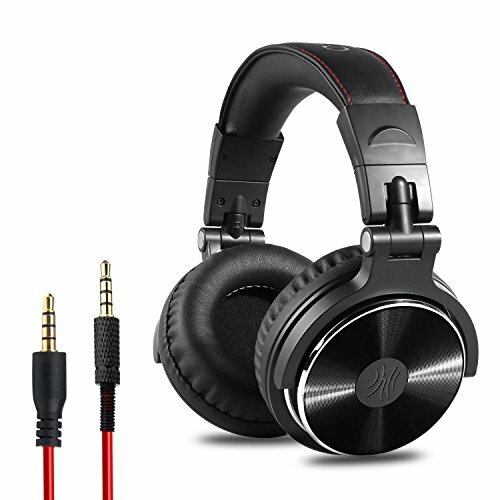 If you like listening to your music with a boom, then you will love these headphones. They have a frequency response of 10 Hz – 20 kHz which means they have a better reproduction of the low frequencies than typical headphones. The MDR7506 also feature collapsible cups for easy storage. The carrying bag is included in their packaging. Also included in the package is a unimatch plug. It facilitates compatibility with numerous devices by allowing you to use both 1/4-inch and 1/8-inch plugs. The MDR7506 were first developed in 1988 and the fact that we are still talking about them 30 years should at least mean something. This product that has been tried and tested, and so you already know you are getting value for your money. Isn’t it weird that no matter how careful you fold the headphone cables they end up tangled? Well with the Cowin E7 this is not something you have to worry. 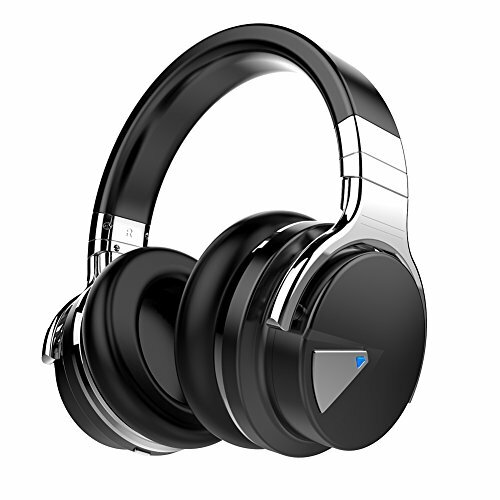 All you need to do is connect the headphones wirelessly via Bluetooth or NFC technology. The connecting process is quite easy and even includes voice prompts to notify you when the connection has been established. The first thing you will love on these cans is the deep, accurate bass. This can be attributed to the proprietary 45 mm large-aperture drivers. Moreover, the headphones also include a built-in microphone which will be useful when taking calls or when gaming. The earcups can be swiveled by 90 degrees for one-ear listening. It’s also a helpful feature when you don’t want to remove the headphones every time you are conversing with someone. Another impressive feature is the extensive battery life. The 600Mah battery affords you an impressive 30 hours of continuous use. That is enough time for you to fly from New York to Japan and back. And it gets better when you factor in how comfortable these headphones are to wear. They are lightweight, and the protein earcups cushion your ears from unnecessary pressure. However, as is the case with all closed back headphones, it’s always advised that you take off the headphones after every 2-3 hours to allow your ears to rest. These headphones have a great sound but wireless technology is definitely their biggest selling point. They are great cans to carry with you while traveling either by road or flying. They will also be a great addition to your workout routine as they eliminate the need to always have your phone on you while working out. Did you think I would complete this list without mentioning a Sennheiser headphone? Come on. We are talking about one of the biggest names in the headphones industry. I have reviewed many Sennheiser headphones, but the HD280PRO remains to be my favorite. One of the first things that I love about these cans is the rugged look. You will also love how light and comfortable they are. Which you can already tell from the massive earpads and headband cushioning. They weigh a mere 285g. The bass response on these babies is also impressive. The lowest frequency most standard headphones can produce is 15Hz. However, the HD280 can reproduce frequencies as low as 8Hz all the way up to 25 kHz. Now, while you would expect that this will lead to an exaggerated bass, the sound is perfectly balanced and well suited even for critical listening. In fact, many professional producers swear by these cans. Something else I love about these cans is their versatility. They will suit just about any of your needs. For their price, even the casual listener will not feel as if they are spending too much on a pair of cans. The connecting cord although not detachable is solid and has been coiled for strain relief. The cans also come with an adapter to enable you to connect different types of devices. Another interesting feature of the HD280 is the ability to detach its various parts. It may take a while before a component develops a problem, but at least you know you can just replace the part alone instead of buying new headphones. Sennheiser is a great brand known for its signature sound by which other headphones are measured. As a result, most of its product may not be affordable for some people. However, I believe the HD280PRO is reasonably priced and presents the best opportunity for you to explore the Sennheiser world. When you look at these headphones, it’s hard to imagine how less they cost. And that is before looking at their features. Therefore, if you are looking for cost-friendly headphones that do not compromise on sound quality, then it does not get better that OneOdio Adapter free headphones. The cans feature 50 mm drivers that incorporate Neodymium magnet for perfect execution of the mid and low frequencies. The high frequencies are also crisp resulting in an overall balanced sound that is great for critical listening. The price also makes these headphones affordable even to the average individual making them the ideal cans for leisure listening. The ear cushions are sufficiently padded for maximum comfort. What’s more, you can adjust the headband according to your head size allowing you to position the headphones in the most comfortable position and also reduce pressure on the ears. The OneOdio headphones do not come with an adapter as you might have already told from their name. Instead, it includes a 3.5mm plug on one earcup and a 6.3mm plug on the other. 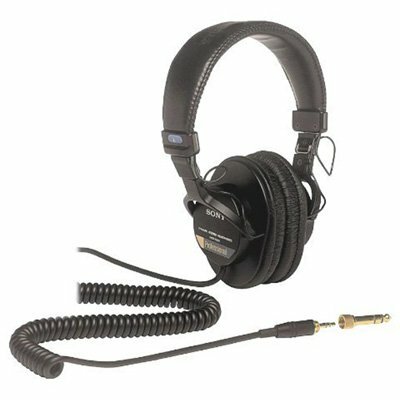 The former is commonly used for portable audio sources like a mobile phone while the latter is prevalent on professional component equipment like a DJ’s turntable. These cans also come with a two-year warranty. When just starting as a music producer or a DJ, these headphones would be a nice place to start. You still get to enjoy an excellent sound quality and then when you are surer of your career path then you can upgrade to the more advanced headphones. But if you are just a casual music listener, these headphones will go all the way for you.